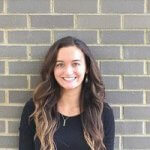 Mia Collucci is a senior majoring in Biology with a Concentration in Molecular Cell Physiology. Currently she is a member of Eta Sigma Gamma, Beta Beta Beta and Phi Eta Sigma. Mia is also a Supplemental Instructor for BY-223 and a student researcher in Dr. Adolf’s laboratory. 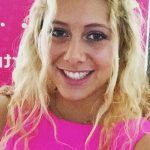 This summer Mia interned with Memorial Sloan Kettering, along with other female students pursing a career in medicine. After graduating from Monmouth, Mia plans to further her education to pursue a master of science in physician assistant studies. In her free time she stays active and enjoys spending time with friends and family. 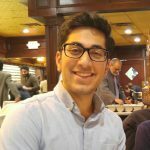 Mehdi Husaini is a junior biology major with a concentration in molecular cell physiology minoring in Spanish, and plans to attend medical school after Monmouth. He was elected President of Monmouth’s Student Government Association, is News Editor and a Senior Editor for The Outlook, a student researcher, and Immediate Past President of the Honors School Association. In his free time, Mehdi likes to draw and spend time with family and friends. Bradie Keelen is a junior majoring in Biology with a concentration in Molecular Cell Physiology and minoring in Health Studies. After graduating from Monmouth, Bradie hopes to become a Physician Assistant. She is most interested in oncology and pediatrics. In the past, she has interned at Riverview Medical Center and has shadowed physicians at local practices. 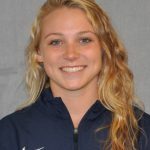 Bradie is a member of the Monmouth University Women’s Swimming team and was honored to be named the team’s 2017-2018 Most Valuable Player. In her spare time, Bradie enjoys horseback riding, traveling, and surfing. 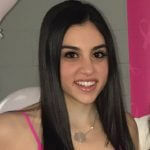 Brianna Licciardello is a senior majoring in Computer Science with a concentration in Applied Computing and minoring in English. She is a member of the Phi Eta Sigma, Sigma Tau Delta, Omicron Delta Kappa, and Upsilon Pi Epsilon Honor Societies. During her sophomore and junior year, Brianna held E-Board positions on the Student Activities Board. Currently, she is an IT Lab Assistant for IT-103. During the summer of 2017 and 2018 Brianna interned with Bank of America. After graduation, she will rejoin the bank for a full-time position. In her free time, Brianna enjoys volunteering for the Salvation Army, working out, and spending time with her friends and family. 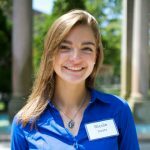 Nicole Sivetz is a senior pursuing a double major in Biology with a Concentration in Molecular Cell Physiology and Chemistry. She has previously participated in several research internships in both industry and academia, and plans to pursue PhD training in biomedical science. Currently, she is an RA, member of Phi Eta Sigma, Beta Beta Beta, Colleges Against Cancer, the Outdoors Club, Next-Generation Science, and Chemistry Club in addition to conducting research on campus. Outside of class Nicole loves to run, hike, teach yoga, and eat good food! Nicole is available for mentoring upon request. Kaitlyn Smith is a senior majoring in Marine and Environmental Biology and Policy with a minor in Political Science. She is the treasurer of Tri Beta Biological Honor Society and a member of Phi Eta Sigma honor society. Kaitlyn is currently the treasurer of the Woman’s Volleyball Club and is also a club member. Additionally, she is a Supplemental Instructor for BY109 and a peer tutor. Outside of school, Kaitlyn enjoys traveling and experiencing new cultures. Kaitlyn participated in the Monmouth affiliated service trip to Guatemala in the spring of 2017, and studied abroad in Florence, Italy in summer 2017. In the future Kaitlyn would like to attend law school, in hopes of becoming an environmental lawyer. Marta Telatin is a junior majoring in Biology with a concentration in molecular cell physiology, with a minor in Italian. She is especially interested in the field of neuroscience. Marta is a member of both the Beta Beta Beta and Phi Eta Sigma Honor Societies and also tutors both biology and chemistry at Monmouth. Marta was part of the student research team that won the 2017 Student Research Conference Dean’s Award of Excellence in Undergraduate Research. 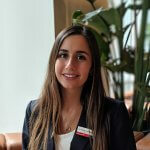 Fluent in Italian, Marta loves to travel. Charlie Vasas is a sophomore majoring in Marine and Environmental Biology and Policy (MEBP). After graduation, Charlie plans on attending graduate school to study sharks. 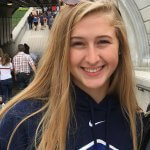 At Monmouth, Charlie is a member of the Snow Riders Club, Phi Eta Sigma Honors Society, Catholic Campus Ministry, and participates in intramural basketball. 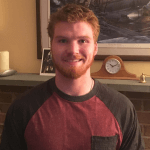 In addition, Charlie enjoys playing sports and video games, and loves to ski and fish. 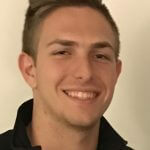 Jett Vernaci is a junior majoring in mathematics with a minor in finance. After graduation, Jett plans on becoming an Actuarial Scientist. Along with being a peer mentor Jett also works as a tutor in the math learning center. He is a member of Phi Eta Sigma honor society. In his free time, Jett likes to play basketball, frisbee, and video games. Emily Tumbaco is a sophomore majoring in Chemistry with a Concentration in Advanced Chemistry. After graduating from Monmouth, she hopes to enroll in graduate school and ultimately pursue a career in medicinal chemistry. 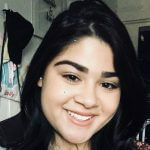 She is a proud member of the Phi Eta Sigma Honor Society, is an Honors School Peer Mentor, treasurer of the Doctors Without Borders Student Chapter at Monmouth University, and will be an SI instructor in General Chemistry I this fall. She is also a student researcher in Dr. Moehring’s Inorganic Chemistry laboratory. In her free time, she enjoys practicing martial arts, reading, and spending time with her family and friends. Tiffany Longo is a junior majoring in Biology and minoring in Statistics. She is a member of Beta Beta Beta, Phi Eta Sigma, the Next Generation Science Club, and the Italian Club. During the summer of 2017, Tiffany was chosen to participate in Monmouth University’s Summer Scholars Program. Additionally, she worked as a student researcher for Monmouth University’s Summer Research Program of 2018. As a member of the Phifer-Rixey laboratory, Tiffany is currently continuing research on the genetics of environmental adaptation. In her free time, she enjoys reading, playing piano, volunteering at the Animal Rescue Force, and spending time with her family and friends. 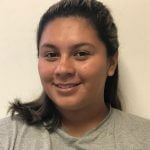 Katherine Vargas is a sophomore majoring in Mathematics. She is currently a part time student at Rutgers as part of AFROTC. She plans on becoming an Actuarial scientist after her four years with the Air Force. She also plans on joining many clubs this upcoming year like soccer and the Math club. Kalyna is a senior majoring in Software Engineering. She is the treasurer of IEEE club and a member of Omicron Delta Kappa Honors Society. 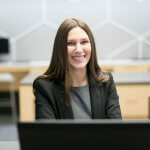 She has interned with Honeywell, Monmouth Medical Center and Prudential during her undergraduate years, and was a recent award recipient of the Dean’s Award for Excellence in the MU Research Conference. In her free time, Kalyna enjoys traveling and going to the beach. Kellsey Church is a sophomore majoring in Chemistry with a concentration in Biochemistry. After graduation, she plans to attend graduate school and pursue a career in medicine. At Monmouth Kellsey plays on the Women’s Club Soccer team and is an active member of the Greek organization Alpha Xi Delta. She is also a part of the Honors school and is a member of the Phi Eta Sigma Honors Society. Kellsey loves staying active and traveling, so she will be studying abroad in Florence, Italy during the fall of her junior year. During her time off from school she volunteers at a local hospital and loves to spend time with her friends and family.